Lithium medications are normally prescribed to treat patients who suffer from bipolar disorder or manic depression. Although Lithium does not cure bipolar disorder, it can help to control the symptoms associated with the condition, helping patients to lead more normal lives. Sometimes Lithium is prescribed to treat migraines, depression or Graves’ disease. Because Lithium has not been approved by the FDA to treat these conditions, they are called off-label uses. How lithium works is not fully understood and seems to work in several stages by affecting nerve cell communication. It is especially effective as a mood stabilizer in low doses when used in combination with other mood stabilizers; however, people on high doses require constant monitoring and many side effects may occur. It is thought that lithium may play a part in affecting neurotransmitters in the brain, which could then be responsible for it being effective in treating bipolar disorder. To date, lithium has been proven to be one of the most affordable and effective treatments available for bipolar sufferers. 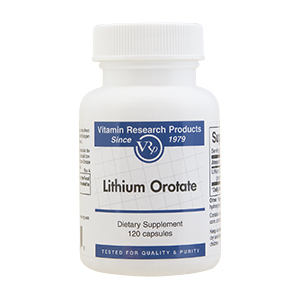 Lithium medication is manufactured by various pharmaceutical companies, including Roxane Laboratories, Barr Laboratories, Major Pharmaceuticals and Apotex Corp. Original lithium medication (Eskalith) was initially manufactured by GlaxoSmithKline, but this particular brand of lithium is no longer being produced. Patients need to ensure that they follow their lithium dosage exactly as prescribed by their doctor in order to help prevent the risk of toxicity occurring. It is important for patients to drink plenty of water while using this medication to help prevent dehydration. If the patient wants to follow a low-sodium diet while using lithium medication, they need to discuss this decision with their doctor, as low sodium levels in the blood can lead to a build-up of lithium in the body. By having regular blood tests, patients can ensure that they are not putting themselves at risk of lithium toxicity. If a doctor finds that the lithium levels in the patient are too high, they may adjust the dosage accordingly which will help prevent the risk of toxicity occurring. It is always important for the patient to follow the doctor’s orders and dosage instructions precisely and to advise them immediately if they experience any side effects while using any form of lithium medication.